We were getting ready to dig into the California Court of Appeal's opinion in 616 Croft Ave., LLC v. City of West Hollywood, No. B266660 (Sep. 23, 2016), when our ABA State and Local Government Law colleague Bryan Wenter wrote up the case on his firm's land use blog, saving us the trouble. The opinion is, in his words, "the first reported appellate decision to rely upon the broad holding of the California Supreme Court's blockbuster 2015 affordable housing case, California Building Industry Assn. v. City of San Jose, and it boldly highlight the far reaching implications of that ruling." 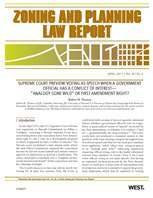 As Bryan writes, "it also underscores the ongoing need for the United States Supreme Court to finally address whether the heightened scrutiny of the Nollan, Dolan, and Koontz Fifth Amendment takings cases applies to legislatively imposed permit conditions." In addressing the reasonableness inquiry, the Court demonstrated precisely why the U.S. Supreme Court should soon address this issue. Under the authority of California Building Industry Assn. 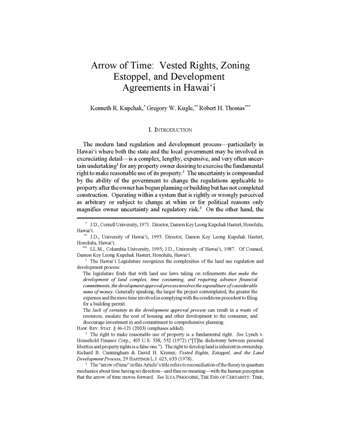 v. City of San Jose, the Court correctly held that combatting the lack of affordable housing by promoting the use of available land for the development of housing that would be available to low- and moderate-income households does not violate the Takings Clause. The Court reasoned, however, that “[t]his is especially true when the regulation, like the one here, broadly applies nondiscretionary fees to a class of owners because the risk of the government extorting benefits as conditions for issuing permits to individuals is unrealized.” That dubious rationale runs headlong into the Justice Clarence Thomas’ logical conclusion, in Parking Assn. of Georgia, Inc. v. Atlanta, 515 U. S. 1116, 1117 (1995) (Thomas, J., dissenting from denial of certiorari), that the existence of a taking should not turn on the type of governmental entity responsible for the taking and that the general applicability of the ordinance should not be relevant in a takings analysis.